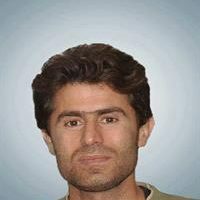 Iraqi Kurdish journalist Kawa Garmiyani (1982-2013) was gunned down at his house on 5 December 2015 by a group of unknown and armed men. His reports on alleged cases of corruption had angered local politicians in the semi-autonomous Kurdistan Region. In the summer of 2012, he received death threats from a prominent local politician in a phone conversation, which has been widely circulated on the internet. His long-standing lawsuits against several politicians remain unresolved. Garmiyani’s widow gave birth to a baby boy on 22 December, 17 days after his father’s death. Just after nine o’clock in the evening on 5 December — an unusually rainy night — a group of armed men in a black SUV vehicle knocked on the door of a shabby house and asked for Kawa. This was his mother’s house. It all happened two days after he posted a message on his Facebook account, which read: “We have obtained documents about latest instances of corruption by officials which we aim to publish soon.” Neither the time nor the place of the announcement was ordinary. More importantly, it was not from an ordinary person. It was a declaration of persistence with a sense of victory. It was a threat from a humble but influential figure. The visitors were armed. When Kawa came out of the house, they immediately opened fire at him in front of his mother, shooting him seven times; one bullet hit him in the head. “They pretended to be Kawa’s friends,” his mother told the local media. “At first, when I opened the door, they just wanted to see my son, they said.” Kawa was nothing but a journalist. He was named after the millennia-old legendary blacksmith hero of the Kurdish and Iranian peoples’ mythology. The name resonates in the popular psyche: resistance, victory over tyranny and eventually the rise of a new day, or Nawroz, which is celebrated every year on 21 March, the start of the new year of the local calendar. Kawa the journalist, resembled the legendary Kawa, but instead of victory over tyranny, those he resisted gunned him down. Kawa’s father was a Peshmerga, a Kurdish guerrilla fighter, and died when Kawa was only eight years old. Instead of choosing his father’s first name as his middle name, as is common in Iraqi Kurdistan, he picked up a nickname: Garmiyani, the name of his region. In Kurdistan, it is still common to choose a surname after your place of birth, a common practice in medieval Europe, a la figures like Marsilius of Padua. Garmiyan (literally “the warm country”) also indicates south. Like southern regions elsewhere, Garmiyan is replete with issues and questions of poverty, mass killings and underdevelopment. Historically, Garmiyan has been primarily an area of guerrilla fighters. He was young – thirty years of age, born in the second year of the 1980-1988 Iran-Iraq war. Like many others in the region, he had witnessed war after war these past three decades. During the September before his death, we met in his hometown Kalar, in the southern part of the semi-autonomous Kurdistan Region. I was full of stories about him. Stories of his activities, his court cases and his confrontations with the local politicians over his investigate journalism. We met at a local office of the daily Kurdish newspaper Hawlati. 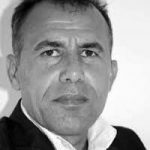 Garmiyani was the editor-in-chief of a local magazine Rayala and a correspondent for the Awene weekly, where I wrote a weekly column. However, it was simmering hot; we sat together and drank tea. Our meeting happened during the run-up to the regional parliamentary election in which I was a candidate. He asked me for an interview. I agreed, but for some reason we did not arrange the time. We met again at the same place. There was sadness in his face. One dared not ask about such private feelings in the Middle East. In his case, there were many obvious reasons. 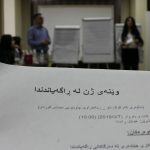 In today’s Kurdistan Region, being a non-partisan and independent journalist brings manifold challenges, from financial difficulties to political harassment and frustrations of a job through which one gets to know much, sometimes too much, about the hidden stories of corruption, and above all, death threats. This is new but not unprecedented. Writing has always been part of resistance and thus associated with torture and death. 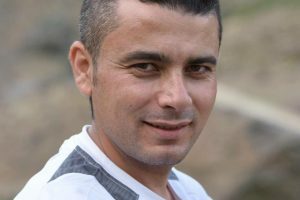 His death was similar to those of two colleagues also gunned down in mysterious circumstances – one in Kirkuk in 2008, the other in the regional capital Erbil in 2010. 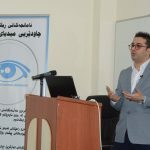 The three disparate young journalists, who probably did not know each other, had one thing in common: they criticized the Kurdish authorities and high-level corruption in particular. Police investigations have predictably yielded no results. All three worked for independent outlets in a region where the political parties have near-total dominance over the media landscape. The title of many literary works would suit the story of Kawa’s short life. Gabriel García Márquez’s Chronicle of a Death Foretold is the first that comes to mind, but also an amended version of James Joyce’s A Portrait of the Artist as a Young Man – amended to A Portrait of the Journalist as Young Man. Kawa’s relationship with the law was also Kafkaesque. Like a typical Kafka figure, his name starts with K. Moreover, as Agamben shows, in contrast to dominant interpretations, there is an analogy with Roman law. Agamben posits a different thesis, namely, K. does not stand for Kafka, but kalumnia and, even more to the point, kalumniator. Kalumniator or kalumnia can be translated respectively as a false accuser or the process of a false accusation. Agamben reports that in Roman law this process represented a dangerous threat to the legal system. However, Kawa was not a self-accuser as a way to resist the law. On the contrary, the authority falsely accused him. His manner of resistance was challenge, persistence, and peacefulness. Kawa was a victim of false accusation. As an act of protest, he once erected a tent before the town’s district court after a defamatory accusation by a former government spokesperson, who was also the editor-in-chief of a magazine, which carried a fake document to sully his reputation. Surprisingly, he won that case, and the former government spokesperson was summoned to court. This is rare by all accounts. It is rare for government or ruling party officials to appear in court. Ironically, this means that the government does not recognize the court, or more accurately, it is not the court’s job to adjudicate on matters concerning pro-government figures. The court is an apparatus of the ruling elite to punish the people. In the Kurdistan Region there is no rule of law, there is rule by law. In the last decade, journalists have been assassinated in a gruesome fashion. They are usually killed by unidentified men. Kawa was gunned down in front of his mother. He was from a particular background. His family embraced all the forms of late 20th century tragedies befalling the Kurds. He grew up as an orphan in abject poverty. In 2012, he married a woman who was a survivor of Anfal, the 1988 Saddam-era genocide campaign against the Kurds. Kawa’s life resembles that of a tragic hero. Like all tragic characters, he was likeable and admired. What made him likable was the cause of his demise. He was killed for the path he chose. It was a personal or moral decision, one he made out of a free will. Kawa was from the Kurdish south. The region’s setting resembles Truman Capote’s Holcomb village. The town lies in a wheat plain with its hard blue skies and desert-clear air; it has an atmosphere of a real Middle Eastern place. The town, like many other places in the region, is new: a post-oil boom urban place. It is where you go to make money and forget life. In the last decade, the Kurdistan Region, as a whole, went through a phenomenal demographic change in the shape of mass rural-urban migration. Kalar was no exception, but it might be special. The town is on the borders and on the margins: on the border between the Kurdish areas and the Arab Iraq, between the Kurdistan Region and Iran, and between Iraq and Iran. Because of its geography being located in a border place and experiencing this mass demographical shift from many different places; the city is multicultural and has no coherent social dominance. Walking in the crowded and narrow alleys, one hears all types of accents, dialects and languages. This background is the premise of the dominance of money over any other form of capital. 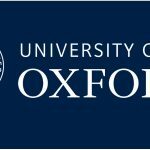 Contrary to expectations, the marginality does not translate to disenfranchisement; on the contrary, the border location brought wealth to the town. In fact, in this periphery one can witness the emergence of a new Kurdistan. Here in this milieu, where everything is permitted for the sake of moneymaking, the poor journalist wanted to uncover instances of corruption and confront the moneymakers. In this margin, we can read about the center and the rest of the country. This periphery is the extreme where the reality of the center appears at its most vivid. Many have pointed the finger of blame to political parties for his assassination. 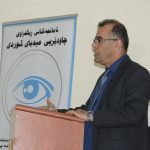 The ruling parties – the Kurdistan Democratic Party (KDP) Masoud Barzani and Jalal Talabani’s Patriotic Union of Kurdistan (PUK) have been accused of intimidating journalists and have been outspoken critics. The police and judiciary systems dominated by them have failed to bring the perpetrators to justice. Kawa’s assassination was a political event – several officials of the ruling parties have admitted this much. The moment of the event confirmed the true nature of the authority in the region. The assassination created a rupture, a moment where the authority appeared naked before everyone. A powerful event mobilized many and saddened most. As a political event, the death of the journalist and the fashion of his death constituted something of a turning point. His ‘post-mortem life’ seems also to be complex. To whom does he belong? Who wants to capitalize on him? Who wants to be associated with him? People, political parties and groups from different backgrounds and ideologies are fighting to claim his symbolic significance. There is already a mantra: ‘We are all Kawa Garmiyani’. 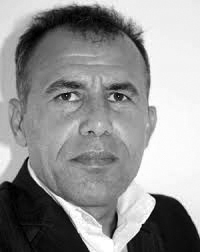 So far, endless emotional eulogies have been written in Kurdish media outlets. Lamentation is common in the region. It has deep historic and religious roots. Since his assassination, there have been demonstrations, marches and visits to his grave, which could be read as a form of atonement for sin. And others ruthlessly take advantage, to utilize him as their party’s hero and use his death as a symbolic capital. Can the collective lamentations of Kawa become a socio-political movement? Can the abhorrence and the guilt be translated into a political discourse? Disobedience to the authorities is a sin; can that be re-imagined as a conscious and eternal decision of self-sacrifice? Nevertheless, as one of Kawa’s close friends put it, a tragic death happens and the prime minister of the Kurdistan Region, Nechirvan Barzani, is talking about oil.